Hillary Clinton went after President Trump’s handling of the Iran nuclear accord. Clinton also said it paints Iran as the victim in the situation: "If Iran is complying, which all the evidence is, then all of a sudden, instead of working to isolate Iran on every issue, we are giving Iran the spotlight — the aggrieved-party spotlight." 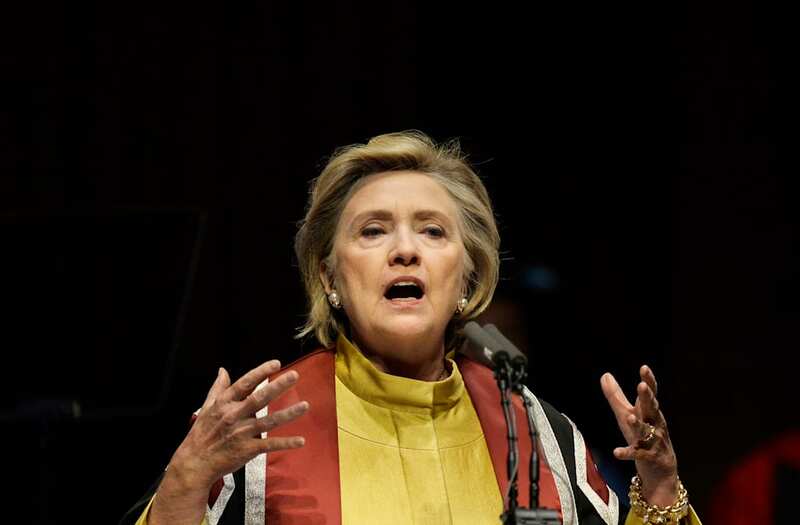 Clinton added: "That makes us look foolish and small and plays right into Iranian hands." Though the interview was recorded Wednesday, two days ahead Trump's announcement on Friday, Clinton blasted the logic behind the president's efforts to back away from the deal, which also includes France, Germany, England, Russia, and China. For now, Trump is looking to Congress and other nations in the accord to toughen the law on US participation and fix deficiencies including the omission of provisions on ballistic missile testing and terrorism. Clinton also denounced Trump’s words towards North Korea adding it has shaken American allies.